Cate loves loves ice cream. 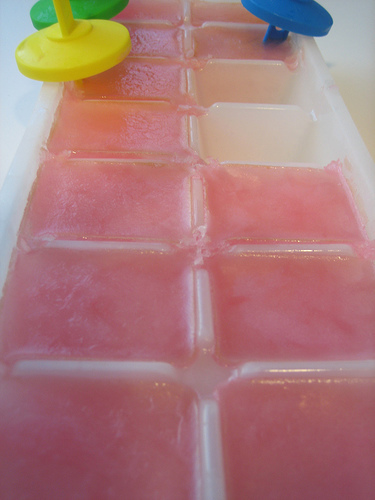 In order to balance her craving against the saturated fats of ice cream, I make her popsicles out of strawberries, raspberries and apples. Her favorite is lady pink apple ones. 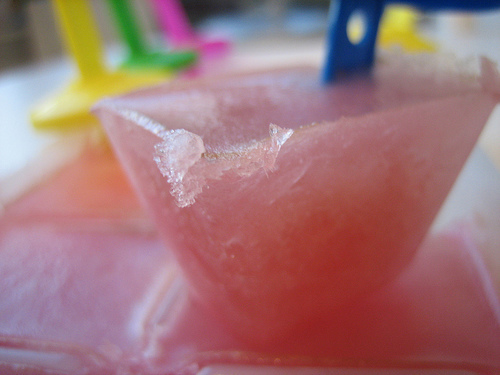 3) pour into ice cube makers and freeze for 3 hours. 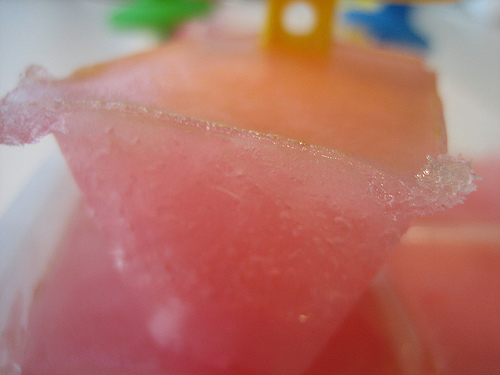 Very sweet and healthy ice popsicles!! I let her eat has much as she wants.